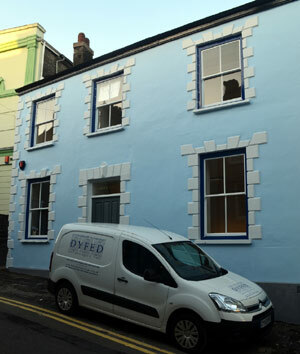 Dyfed Archaeological Trust is an independent organisation dedicated to the effective protection, investigation, recording and promotion of the historic environment. Whilst retaining a strong regional commitment, we offers professional services over a wide area, both within Wales and beyond. Dyfed Archaeological Trust is constituted as a Private Limited Company and as a Registered Charity, whose objectives are to enhance the education of the public in archaeology. The Trust is governed by a Board of Trustees, which appoints a Management Committee. Trust membership is solely at the invitation of the Trustees, and provides a source of wide-ranging academic and professional expertise in archaeology and related areas. We have a highly motivated professional workforce with a wide range of skills and experience.This is complemented by long established contacts and partnerships with external specialists and specialist organisations enabling us to offer extensive consultancy and implementation services.